Really like these suspension parts. 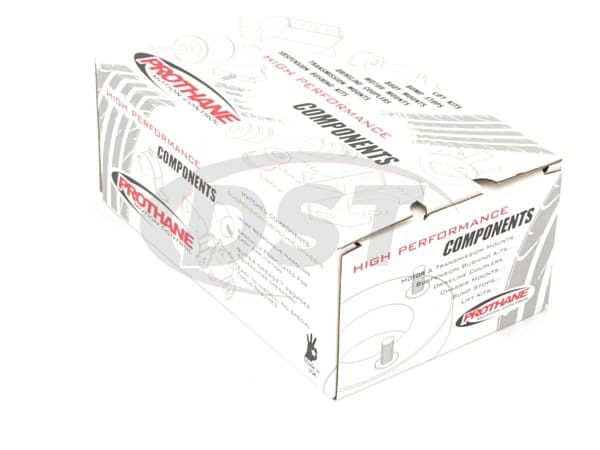 Great improvement over stock parts. 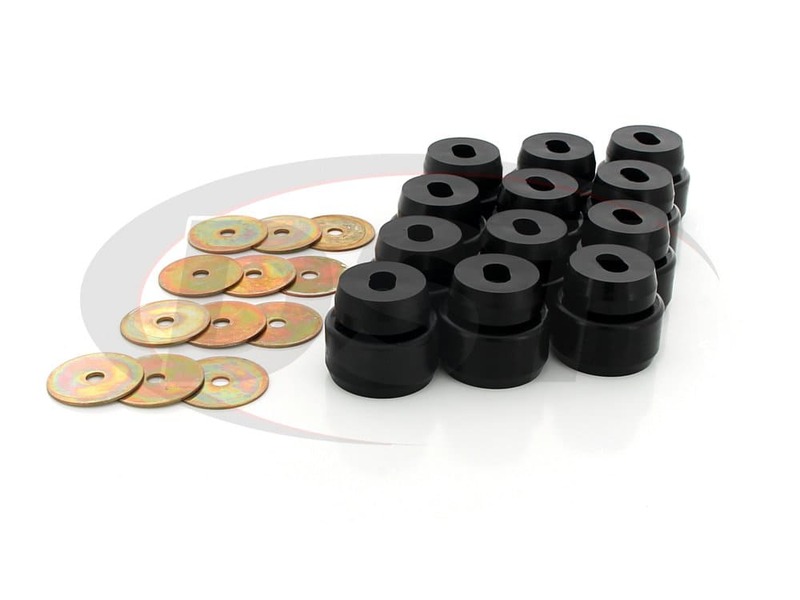 starstarstarstarstar" Very high quality precision parts "
These body mount bushings were used to replace deteriorated factory rubber. The truck now has a very solid feel. I thought these body mounts were pretty good mounts. They were cut perfectly and fit very nicely. My body mounts were bad on the up travel side so they eliminated some body trashing over severe bumps. Only problem was the washer provided was to thin and bent on installation. 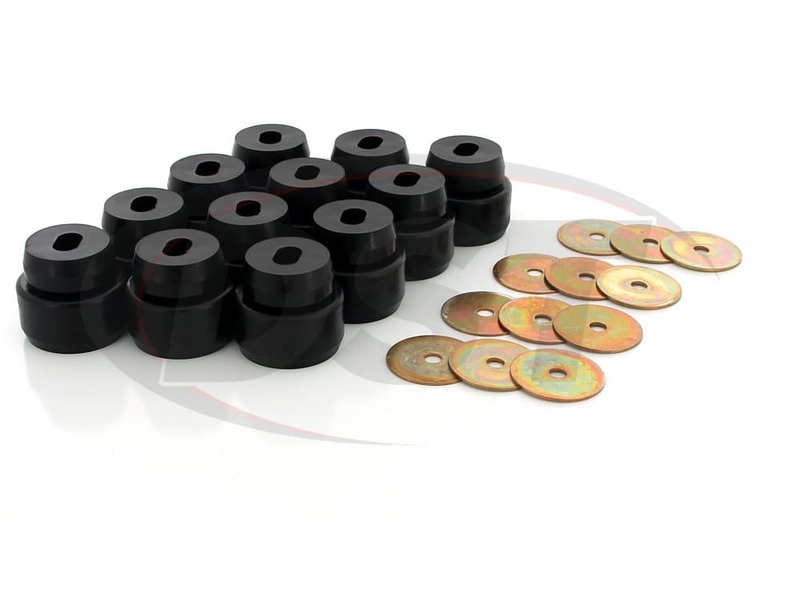 I didnt bother trying to find a stronger washer because the washer had already squeezed down the mount so much that thought the benefit wouldnt be noticeable. 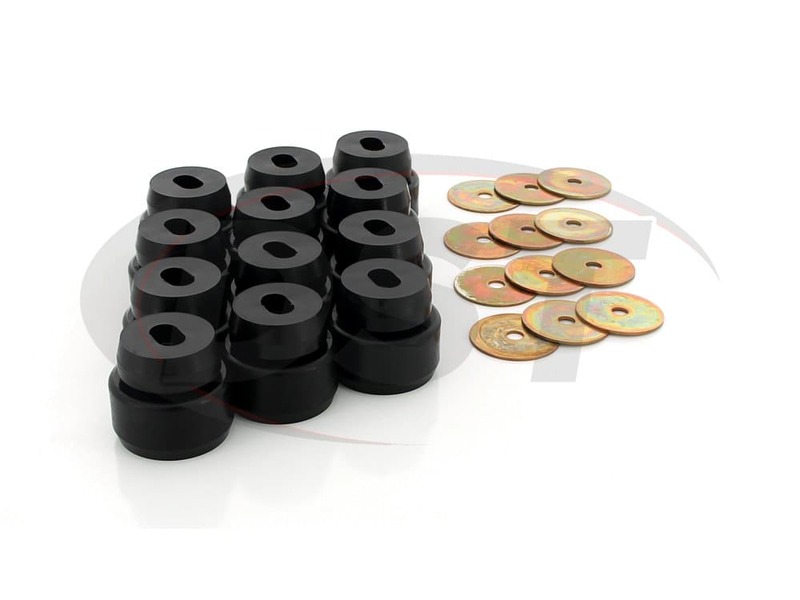 The OEM washers are big thick ones that dont bend but you cant really re use because they are in the old mount and you would have to dig them out. Also this kit had the radiator support mount which I was very happy to get with the bundle as technically that isnt a body mount. 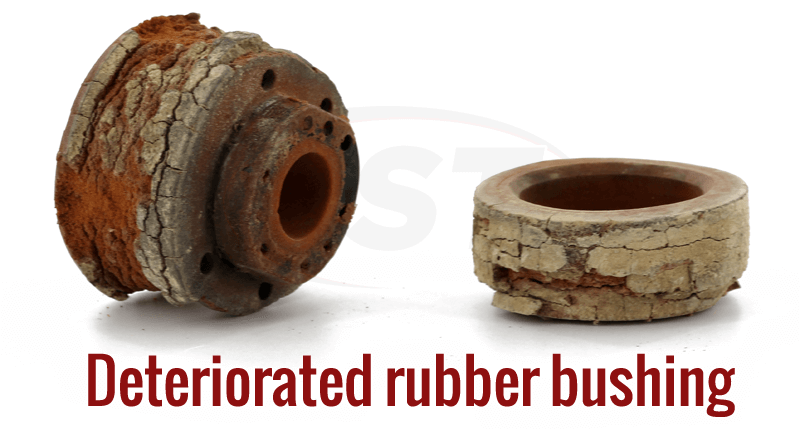 Will the 7143 include the radiator support bushings? 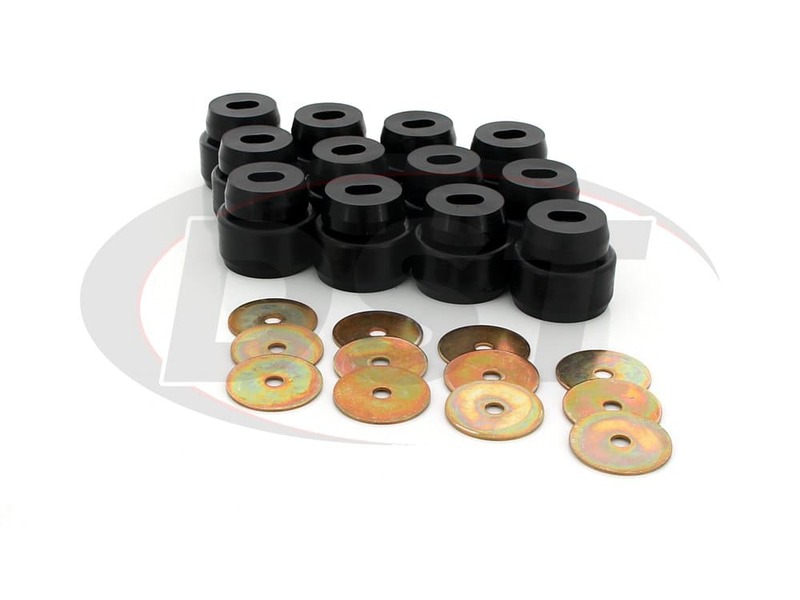 Kit number 7143 will include the radiator support bushings as well as the body mount bushings. On part 7143 will it work on an H2 Hummer 07? I'm trying to find body mounts. It has a leveling kit on it. What is the typical install time for changing the Bobby mounts 7143? 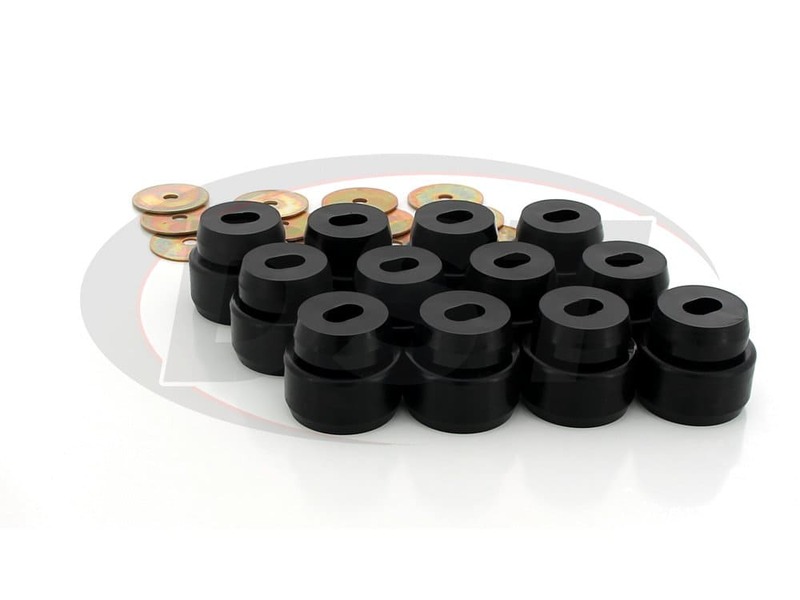 I'm trying to find out if part number 7143, which is the Body Mount Bushings is definitely a direct fit for my 2007 GMC Yukon XL SLT, 4WD with the 5.3 liter engine before I commit to ordering it. 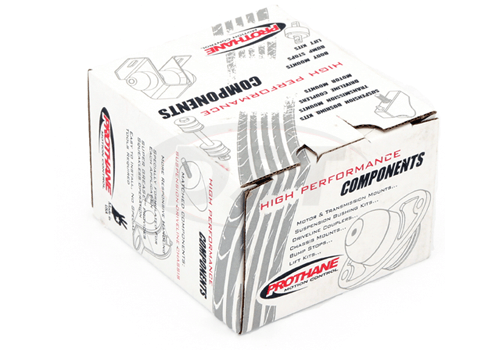 Yes, the Prothane kit 7143 will fit your Yukon.